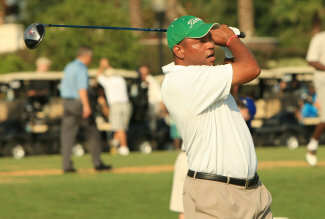 Boston Celtics Coach Doc Rivers is partnering with destination club Ultimate Escapes to raise money for Shepherd's Hope, a non-profit organization of volunteers that provides access to health care for the uninsured. Together they are offering six packages, including a VIP Golf Experience with the NBA champion coach in Orlando and a VIP Celtics package during the 09/10 season. Los Cabos Package, A five night stay in beautiful Los Cabos, Mexico, where quaint colonial architecture, lively marinas and miles of pristine beaches surround your enchanting seaside hideaway. The full details on the auctions, together with links to the actual auctions on eBay are at http://www.ultimategiving.com/. Doc Rivers has been a member of Ultimate Escapes for several years. As we reported earlier this week more and more of the destination clubs are partnering with celebrities, particularly sports related ones. The celebrities often act as Ambassadors for the clubs.